www.singaporeinterior.com - Door Access System ISC101 Intelliscan. The IntelliScan ISC-101™ is a groundbreaking new product that can be used as an economical single door proximity reader-based access control system for up to 1,024 users. It is an extremely simple and cost-effective solution and it can be used in both on or offline. Cost effective : The IntelliScan ISC-101™ has an built-in reader with optional external reader input. Communication : IntelliScan ISC-101™ offers variety of communication Protocols such as Wiegand 26-bit, RS232, RS422, and RS485. Counterfeit-free system : With dozens of different codes possible, identification numbers can never be duplicated. Distributed Intelligence : IntelliScan ISC-101™ features 100% Distributed Intelligence, meaning that there is no degradation in security level, even when the host is “offline”. Audiovisual indication : When a proximity card is presented to the reader, the red LED flashes green and the beeper sounds. Multi-Environment design : The IntelliScan ISC-101™ is sealed in a rugged, weatherized polycarbonate enclosure designed to withstand harsh environments. 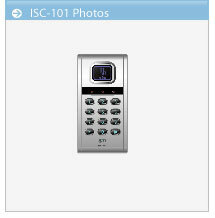 Easily interfaced : The IntelliScan ISC-101™ easily interfaces with existing access control systems. The facility code and card numbers of the Cards are represented in a 26-bit Wiegand Standard format. N&T System Furniture Constructor. Singapore Largest On-Line Site For Office Furniture & Interior Renovation.